We want to remove the fear from investing. Volatility can be a good thing. The Direxion Indexed Commodity & Income Strategy Fund which tracks the Auspice Broad Commodity ER Index has reached 5-star status by Morningstar (here) on a 5 and 10 year basis. More info about the Auspice strategy and Direxion linked fund. Toronto, Ontario – January 16, 2018 – Auspice Capital Advisors Ltd. (“Auspice”) announced today that it will be terminating Canadian Natural Gas Index ETF (the “ETF”) (ticker symbol: GAS) effective at the close of business on or about March 23, 2018 (the “Termination Date”). Capital versus Risk Allocation: What Most Investors Get Wrong in Alternatives. Direxion has launched the Direxion Auspice Broad Commodity Strategy ETF (Ticker: COM), which seeks to provide total return that exceeds that of the Auspice Broad Commodity Index. The rules-based index attempts to capture trends in 12 diversified commodity markets using a quantitative methodology. 2016 was a year of volatility inducing events, which caused many markets to move in surprising ways on the back of results that separated themselves from popular consensus or polling. Brexit, the US election, a new OPEC narrative, and the US Fed raising rates were all tough on trends, inducing whips and reversals. Despite this, equities rallied while broad commodities had their first positive year in many. Investors and market participants can now actively monitor and speculate outright on the price of Canadian natural gas. "The opportunity to work with USCF is exciting for Auspice and is positive for the global energy commodity marketplace," said Tim Pickering, Founder, and Chief Investment Officer of Auspice. 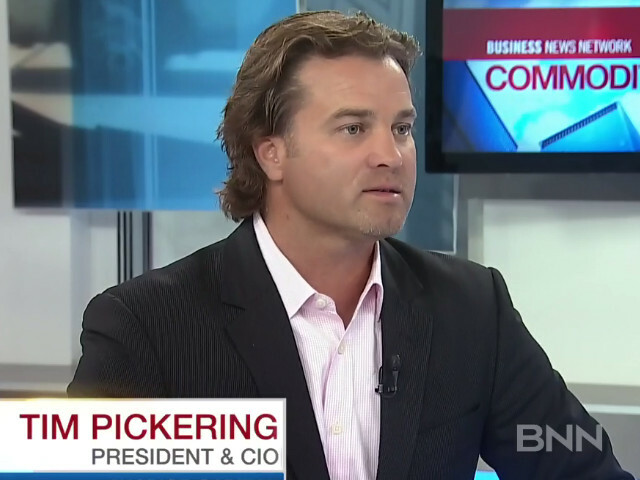 Tim Pickering, founder, with Auspice Capital joins BNN to give us his outlook on Alberta following the wildfires. Tim Pickering, lead portfolio manager at Auspice Capital to talk about the most recent oil price moves and the broader context of the Alberta government failing to protect itself from the steep commodity price declines. Join BNN when we speak to Tim Pickering, lead portfolio manager at Auspice Capital about recent macro events in the oil sector and the benefits of the Canadian energy market. Join BNN when we speak to Tim Pickering, lead portfolio manager at Auspice Capital about the long term bull case for investing in Canadian commodities. Canadians lack the ability to track the price of Canadian oil. That’s changing. Now it’s time to give investors some of that market. When it comes to pension plans and hedge funds, size matters. That message came across loud and clear last fall when the US$298-billion California Public Employees’ Retirement System (CalPERS) eliminated its $4-billion hedge fund program. The Auspice Diversified Program softened 0.65%. The Auspice Diversified Program softened 0.47%. The Auspice Diversified Program lost 4.14%. The Auspice Diversified Program gained 1.64%. Auspice Broad Commodity gained 0.10%. The AMFERI gained 2.18% in December. The Auspice Diversified Program gained 3.66%. The Auspice Diversified Program lost 4.75%. The Auspice Diversified Program gained 3.57%. Research is the foundation of what we do. We understand that markets evolve and that we need to adapt. We engage in a process of continuous evaluation and research to identify sources of returns and the methods with which to effectively capture them. Demystify the difference between Canadian Crude and WTI as we believe global investors may find a clear way to gain crude oil exposure with an edge beyond WTI. Myths about the Canadian Oil Sands continue to abound. Click here to read some of the facts on our industry, with third-party information and quotations. 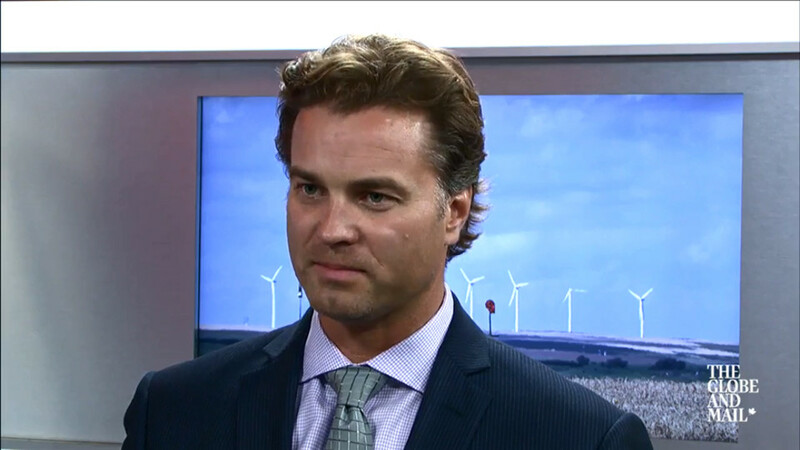 Tim Pickering of Auspice Capital Investors joins Global News, calling the Energy East cancellation “a real blow” to Alberta and Canadian economies. A presidential executive order reviving the Keystone XL project is good news, says one strategist, but he adds that what Canada really needs are pipelines to serve other markets entirely. Tim Pickering, chief investment officer at Auspice Capital, explains. Tim Pickering, Founder, President & CIO of Auspice joins Bloomberg TV Canada's Mark Bunting to discuss how Trump presidency, pipelines and OPEC will drive Canadian crude oil prices. Discussion regarding a long term view on Crude Oil with CIO of Auspice, Tim Pickering. A call for Alberta to create an oil hedging strategy. Tim Pickering of Auspice Capital says falling Canadian oil production and the prospect of a weaker U.S. dollar are much bigger deal than Saudi machinations. Tim Pickering talks to CBC about the Canadian Crude Index. Auspice Capital's Tim Pickering joins BNN as part of a special presentation looking at where to hide in the energy sector as oil prices tank. The Canadian crude oil market is in backwardation - what this means for WCS with Tim Pickering, Lead Portfolio Manager, Auspice Capital. 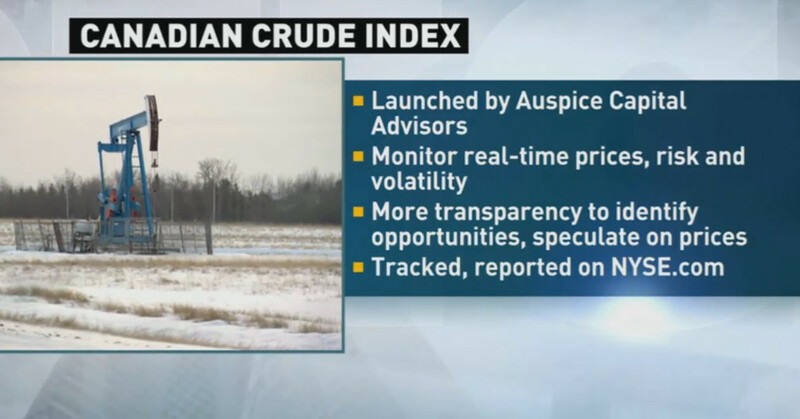 Auspice Capital says its new Canadian Crude Index "represents a simple, transparent and liquid benchmark for oil that is produced in Canada." Founder and President Tim Pickering tells us about his plan to launch an ETF based on the bellwether. Tim Pickering, President & CIO, Auspice Capital, joins BNN to offer insight on investing in managed futures and a look at Horizons 'best performing Canadian-listed ETF". What is the difference between simply following a trend and capturing it? Why is growth not consistent and gradual and why do we want it to be? Tim Pickering chats with Niels Kaastrup-Larsen from Top Traders Unplugged. Michael Covel talks to Tim Pickering, founder/president and lead portfolio manager of Auspice Capital. Pickering has over 15 years of commodity and financial trading experience. Prior to forming Auspice, Pickering was Vice President of Options Trading at Shell Trading Gas and Power in the Houston and Calgary offices.